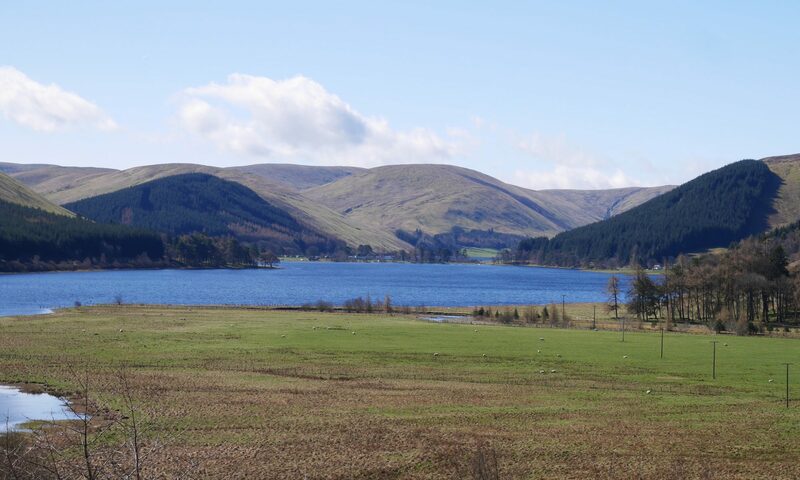 You will love to stay beside St Mary’s Loch at Cappercleuch if you like gorgeous scenery, peaceful walks, spotting wildlife, watching the dark night sky, fishing, kayaking, cycling, driving or motorcycling on quiet roads… or just reading your book! You won’t find streetlights, club venues, jet-skis or fast food outlets. Those things may be great in their place but that place isn’t St Mary’s Loch! Of course, if all this countryside gets too much, it’s less than an hours drive to the “park and ride” on the outskirts of Edinburgh if you want to spend some time in the capital. Drive all the way into the city by all means but be prepared for some pricey parking! walkhighlands.co.uk : check out Moffat area of Dumfries and Galloway as well as Scottish Borders for walks close to St Mary’s Loch. Looking out of the bedroom window you will often see an osprey fishing on the loch. 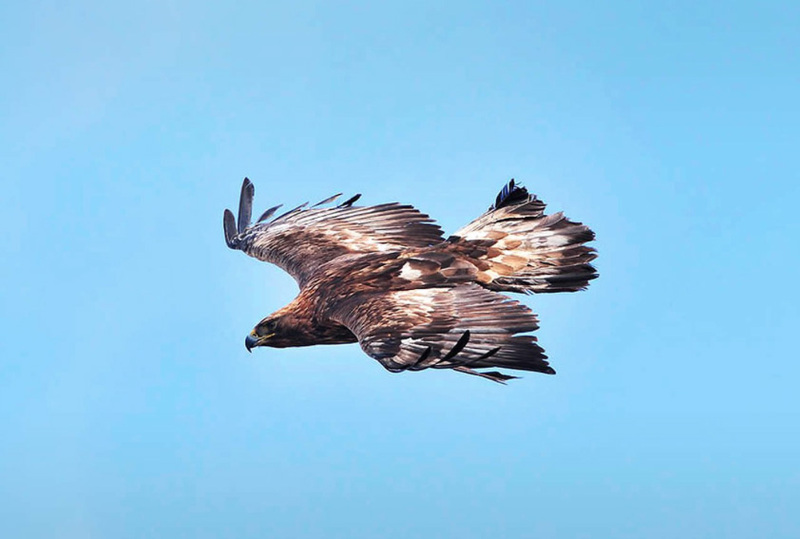 Golden eagles were reintroduced to the Borders in 2018 so keep your eyes peeled! Buzzards are so common everywhere these days that they risk not being seen as special but their soaring flight and their ability to hover almost as well as the Kestrel are still worth watching around here. 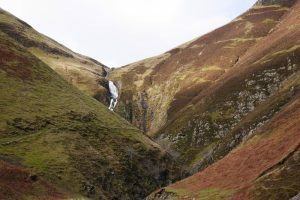 Peregrine falcons can be seen over the Grey Mare’s Tail and wild goats are in the same area. If you see an enormous crow it will likely be a raven. 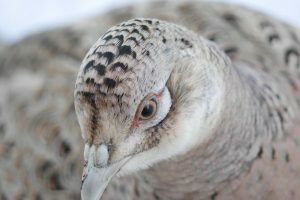 We have a red squirrel that visits the garden from time to time and there are usually pheasants there too. A tawny owl sometimes perches on the old telegraph pole in front of the house. Otters have been seen around the loch where there are also many different types of ducks, grebes and divers. Looking up to the hill behind the cottage a red fox was seen, in full flight with his tail streaming out behind him (not welcomed by the farmers but a fine sight)! The roe deer graze the scrub on the same hill and are reputed to swim in the loch. 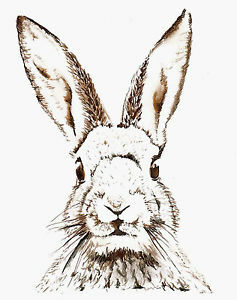 Mountain hares come down from the hill and one recently did a circuit of the village hall! We have seen lizards and slow worms, both common in the area. An adder was found dead on the road but they are very wary so you would be lucky to spot a live one! 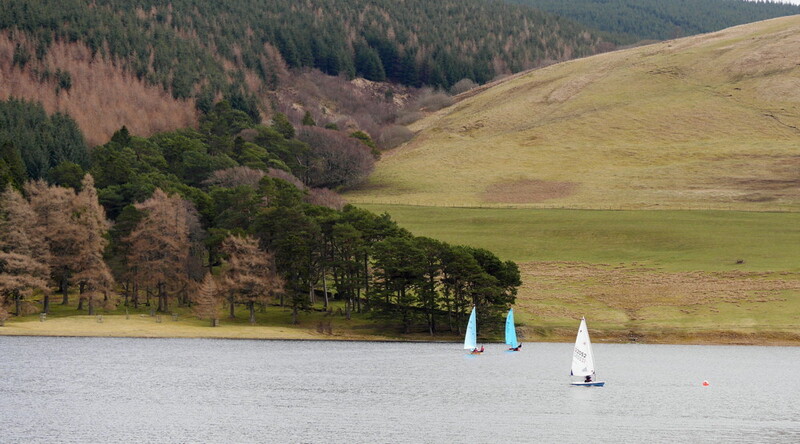 The St Mary’s Loch Angling Club looks after the fishing in the loch itself and in the adjacent Loch O’ the Lowes (rhymes with cows and often just called “the wee loch”). A day permit is just £8. The club also rents out boats. Huge pike are regularly caught but there are also brown trout, perch and eels. (Once in a blue moon a rogue salmon will come into the loch, so they say). 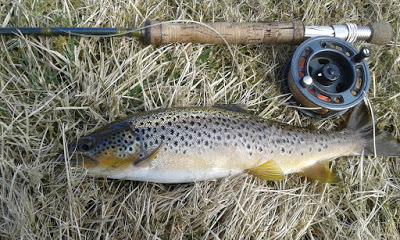 If you want river fishing then the Tweed is, of course, world famous for salmon – nearest point is 20 minutes drive away. The FishPal site gives useful information about the Tweed but their page relating to St Mary’s Loch was way out of date last time we looked. 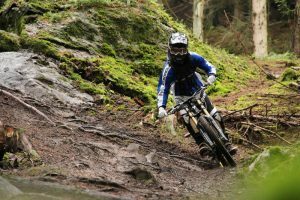 There are free trails at Innerleithen (20 minutes drive) and Glentress (25 mins) in the Tweed valley. If you are serious about the sport you will almost certainly already know of these locations as they regularly host international level events. However, there are also trails for all abilities. If you don’t bring your own bikes they can be hired from Alpine Bikes. You can even take a course at Ridelines to improve your skills, kids level right up to total bonkers adult level! You an also “Go Ape” at Glentress. All these attractions are heading east from St Mary’s Loch. If you are in the area for a while it’s worth making a trip in that direction to appreciate the huge changes of landscape in the Borders. Going all the way to the east coast is quite a long drive but the roads are extremely quiet (nice motorbike run) and the scenic coast e.g. St Abbs is beautiful. Dawyck botanic gardens is the tree specialist arm of the Royal Botanic Garden Edinburgh(Dawyck is pronounced Doik … like a young ruffian with a letter D in front). If you like trees even a little you will love this place. These are not just trees, they are TREES! Nice cafe too. 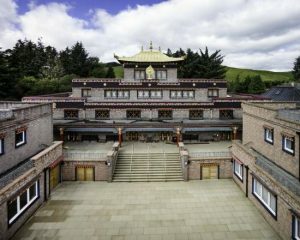 Save yourself the plane fare to Tibet and come to Samye Ling Monastery in the Scottish Borders! The drive itself is a delightful if not spiritual journey. The monastery has been here for more than 50 years. This is not some kind of recreation (unintended Buddhist pun) in the Disney style. It’s the real thing. However you do not need to be a Buddhist to visit and sample the spirituality, the beautiful setting, the extraordinary buildings, the tea, the rugs. The monastery runs a number of different courses such as meditation, mindfulness and other topics related to the philosophy and religion of Buddhism. Looking for something completely different? How about going for a trek with a group of Alpacas? Velvet Hall Alpacas get fantastic feedback and are very near Innerleithen in the Tweed valley, about 20 minutes away by car.